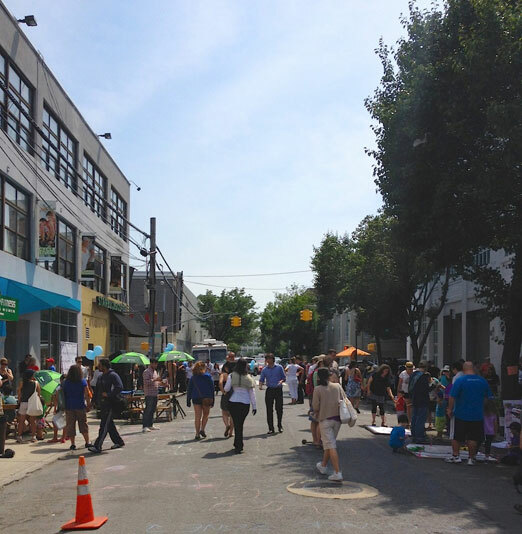 On Saturday we stopped by the Queens Arts Express Block Party to see what kind of fun everyone was having. We saw lots of people there and plenty of kids. 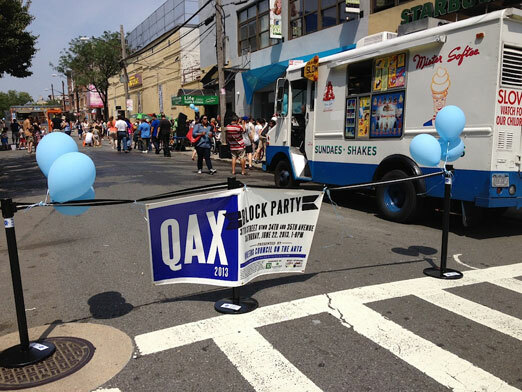 The block party itself took up about part of the block – 37th Street between 34th and 35th Avenues. I took this little video soon after I arrived. 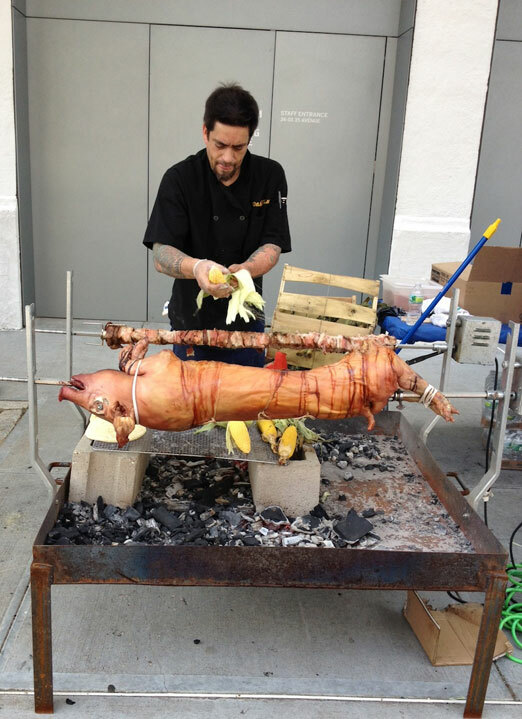 And I saw this pig roasting on a spit near the entrance, too, thanks to George and the folks at William Hallet. I didn’t get a chance to taste it (I was on my way to a hog barbecue – more on that in a later post), but it sure looked good. 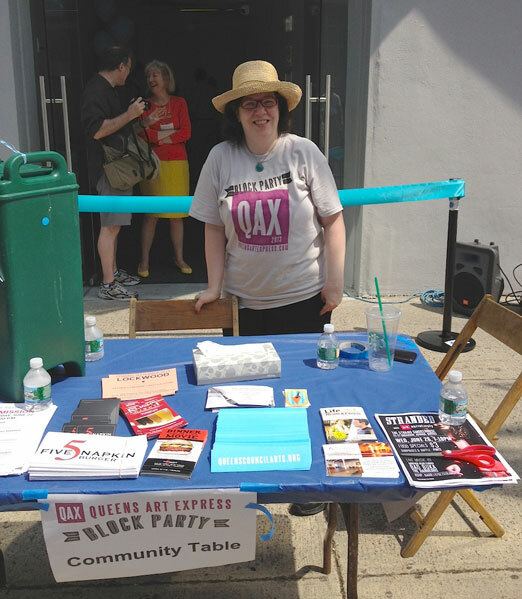 We stopped by the Community Table for the block party, and found local artist Melissa Wolf keeping watch. The kids were having a great time. 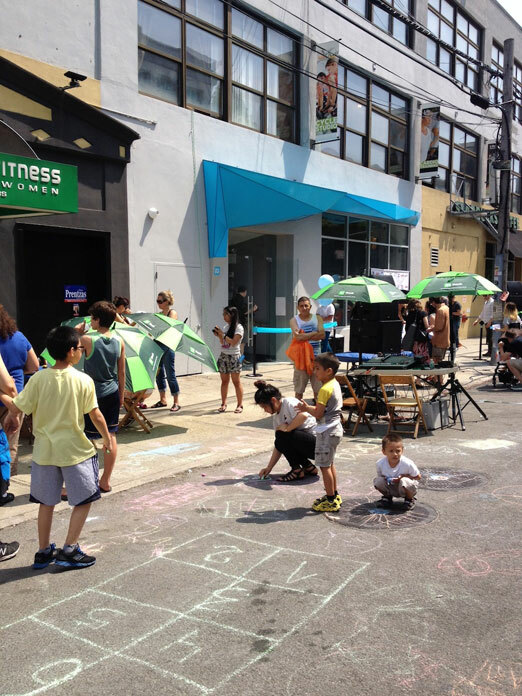 Chalk galore! 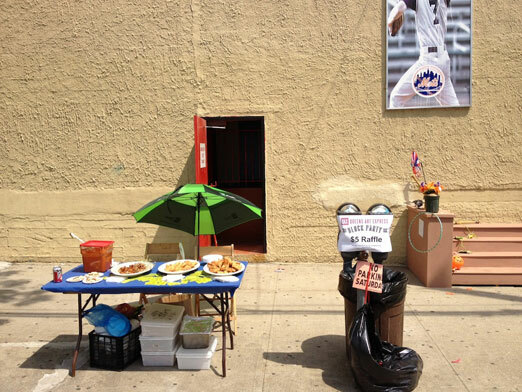 There was a raffle and a table topped with a couple plates of empanadas and what looks like a large container of salsa. 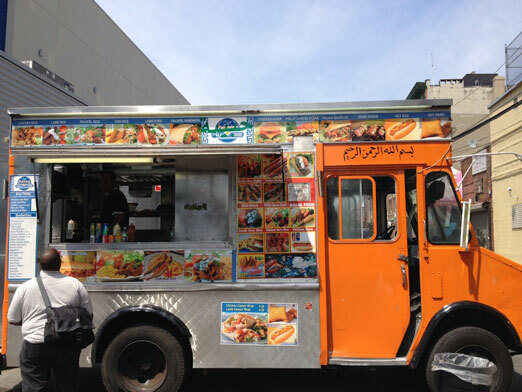 There was a food truck at the north end, too. 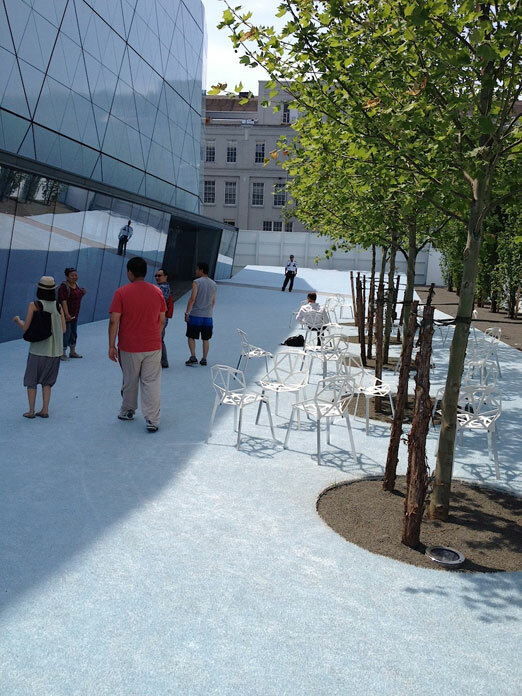 We wandered into the George S. Kaufman Courtyard at MOMI. 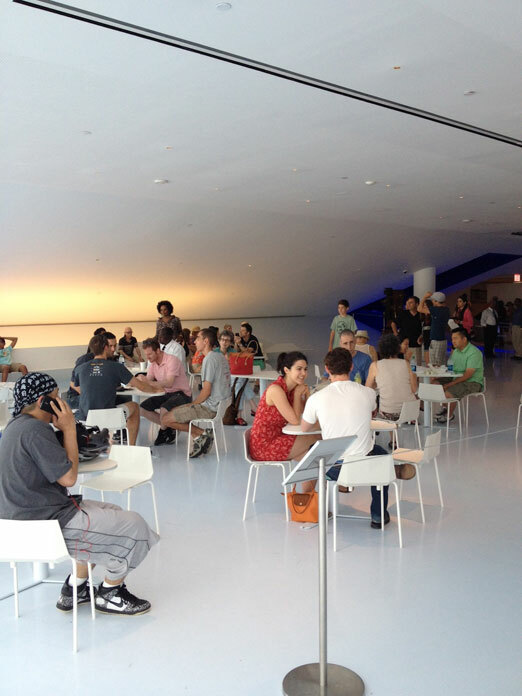 And finished up at the MOMI café. I got one of their excellent chocolate cupcakes but ate it before I could take a photo. It’s damn good, let me tell you. One of the most enjoyable part of the afternoon was running into familiar faces, all very creative people. I just love that! 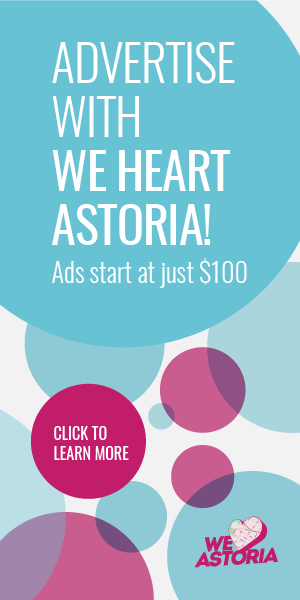 Astoria really is a small town at heart. 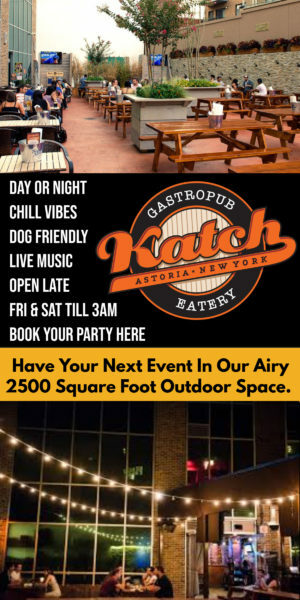 Their cupcakes are from the Astor room. 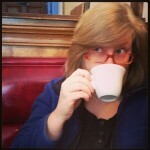 Members receive a 15% discount on all café purchases.